Join our Mailing List to receive updates for upcoming auctions! 103 Acres in 1 Tract. Rarely does an opportunity come along like this! This recreational paradise has something for everyone. Whether you like fishing, hunting, farming, or just hiking through the woods, this farm is for you. UPDATE: The farm sold for $297,000 (1 buyer) and closed on 04/28/08. 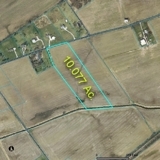 Don’t miss this great opportunity to purchase up to 86 acres of valuable farmland in Bethel Township. UPDATE: The farm sold for $1,250,000 and closed on 01/10/08. All 3 tracts sold to 1 buyer. UPDATE: The farm sold for $463,000 as follows: Tracts 1-8 sold for $243,000 to one buyer and closed on 11/15/07. Tract 9 sold for $220,000 and closed on 01/16/08. UPDATE: The farm sold for $1,070,000.00 as follows: Tracts 1, 2, 3, 4, 5, 6, 7, 8, 9, 10 and 12 sold for $945,000 and Tract 11 sold for $125,000. Both transactions are expected to close on or before April 20, 2007. 208 Acres in 12 Tracts. UPDATE: The results of the auction are as follows: Tract 1, 2, 4, 5 and 6 sold for $260,000 and closed on 04/06/07. Tract 3 (with the house) sold for 195,000 and closed on 04/27/07. UPDATE: The farm sold for $539,800 to 4 different buyers as follows: Tract 1: $146,000; Tract 2: $229,000; Tract 3: $163,000 and Tract 4: $1,800. All transactions are expected to close on or before March 9, 2007. UPDATE: TRACT 1 SOLD FOR $160,000 AND CLOSED ON 01/04/07. TRACT 2 SOLD FOR $120,000 AND CLOSED ON 01/05/07. UPDATE: THE FARM SOLD FOR $235,000 AND CLOSED ON 06/09/06. 8.5 Acre Mini-Farm, autos, tractor & farm machinery, hay & straw, ATV, moped, mini bike, greenhouse & supplies, lawn & garden equip, tools, antiques, musical instruments, etc. UPDATE: Tract 1 (13.175 acres with the house) sold for $80,000 and closed on 06/02/06. Tract 3 (18.910 acres) sold for $65,000. 296 N. Main St., 300 N. Main St. & 287 Walnut St.
38 Acres - Selma Rd. Put their experience and four combined decades of commitment to work for you!